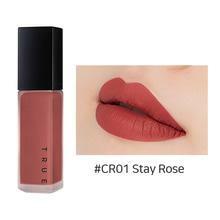 Radiant your Skin Care with the [A'PIEU] True Matte Fluid #CR01 (Stay Rose)! we aim to provide you best korean products to take good care of your skin, including Cosmetics, Makeup, Lips. Hydra Lips online. The colour is nice for a bright everyday look. really smooth, even application and a beautiful reddish colour!